The proposal to invest in AYO Technology Solutions came from the office of the former Public Investment Corporation former chief executive Dan Matjila. This is according to an executive who was giving evidence on Tuesday at the commission of inquiry probing allegations of impropriety at the state-run asset manager. Fidelis Madavo, the newly suspended executive head of listed investments at the PIC, was quizzed about how the AYO business came about ahead of its listing on the JSE in December 2017. The PIC controversially decided to underwrite AYO’s entire private share placement before its listing in late 2017 with a R4.3bn injection, despite internal concerns that it was overvalued. Madavo, who informed the commission on Tuesday that he had been suspended following a probe into the corporation's AYO investment, said that as far as he knew, the AYO investment came through the office of then-CEO Dan Matjila who "typically informed the team to say there was this opportunity". 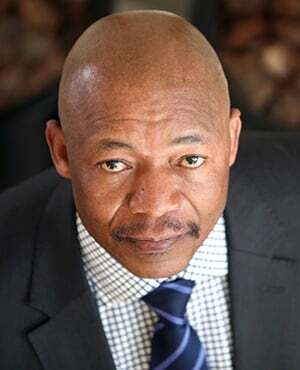 Matjila resigned from the corporation in November, following calls for him to step down, as the institution came under fire over some of its investment decisions. Madavo further explained that a valuation process was then set in motion, involving portfolio managers who met with the company and compiled reports. The corporation said on Tuesday morning that its preliminary report into the AYO investment "clearly reflects a blatant flouting of governance and approval processes of the PIC". AYO did not immediately reply to a request for comment sent via its website on Tuesday. The group does not have a up-to-date contact number on its website. An email to a PR agency that has previously sent out releases on behalf of AYO had also not been answered by mid-afternoon. Evidence presented at the inquiry showed that the asset manager, which handles public servants’ pensions, has been in crisis mode, with a marathon board meeting held from Monday afternoon until the early hours of Tuesday, according to Chris Pholwane, its Executive Head of HR. Pholwane, who attended the meeting, said he was called back to the meeting at 01:30, where the suspension of several employees - including Madavo - was discussed. He added that as the head of human resources, he had been asked to give input if the suspensions complied with HR practices. He indicated that although Madavo’s suspension was with immediate effect, he could still seek recourse. Assistant commissioner Gill Marcus put it to Pholwane that the executive committee of the asset manager was in deficit with half of its members either suspended or resigned. Pholwane agreed. Earlier, Madavo said the asset manager was committed to conducting thorough assessments of the entities it chose to invest in. He said there were "a number of assumptions" in the case of AYO, including its BEE status and its contract with Sasol. AYO announced in May 2018 that it had signed a multi-year information and communication technology services contract with the petrochemical giant. Asked by Commissioner Judge Lex Mpati if he was satisfied with the measures in place to conduct proper business assessments before investing, Madavo replied: "I can categorically say that the PIC takes the issues of governance seriously… even if there were [failures] with AYO, there was no impropriety." The inquiry, which is sitting in Pretoria, will hold its last hearing on Wednesday, before resuming on Monday. Its interim report is expected to be submitted to Ramaphosa by February 2019, with a final report and recommendations by 15 April.